« How young is too young to be a drag queen! President Trump should have stood his ground on the government shutdown if Republicans refused to pass funding for the border wall. Parents claim his toddler child didn’t give consent for Christmas ornaments to be in the classroom. Lawsuit ensues. 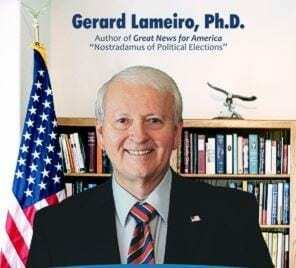 Guest Dr. Gerard Lameiro explains how conservatives can help America promote morality, freedom, peace and prosperity in 2019. There are 49 RINO’s who are leaving office at the end of the year. The seats that went to Dems were temporary. In 2 years, they’ll flip back to conservative. We just had to get rid of the establishment Republicans first. 2020 is going to be our best year yet! If you listen to mainstream media, you’re getting a distorted view of America. Don’t believe their spin! What are conservatives to do? Get up and do something. Take a stand. Don’t be afraid to speak the truth on things that Liberals are trying to normalize, like the 100+ genders they want us to buy into.